For those of you who’ve followed my posts on mental illness, you all may know I’ve been on a few antidepressants. I’ve been on Pristiq which did not agree with me at all. I got some major side effects which caused me to have a massive meltdown so I was taken off. I was then moved onto Celexa and that seemed to work pretty well for a while. I didn’t feel amazing or anything, but I was better able to manage my mood swings and depressive episodes. Last summer I went off my meds without telling my doctors. I wanted to try to live without the need of medications. I was also getting some unwanted effects from another drug I was on called Latuda. If you are not familiar with that drug, it is an antipsychotic drug that is used in the treatment of Schizophrenia, Schizoaffective Disorder, and a few other forms of mental illness. I did alright for a period of time while off the drugs as I was able to cope with my depression and anxiety. That didn’t last though. I had contemplated going back on meds, but I didn’t want to as I hated some of the unwanted effects. The biggest complaint came from the Latuda. It has a major numbing effect on your emotions. It does have some benefits though. It quieted most of the voices in my head and lessened my visual hallucinations to the point where I had maybe 1-2 a day. Off medication, my hallucinations are quite frequent; visuals come and go although they are not intrusive all the time and the voices aren’t terribly bothersome for the most part. The exception is when I find myself under great stress. In those times, the voices and visual hallucinations can get out of control and that was why I was given the Latuda. The cons, as I mentioned, was the numbing effect. In a way, I felt almost zombie like. Next to nothing generated any sort of emotional response. I couldn’t really feel much sadness, but I also couldn’t feel joy. I didn’t feel anger. I did sometimes feel frustration, but that was mostly because of the fact that I couldn’t feel anything at all. If all I wanted out of life was to sit in my room and watch game shows, I suppose that would be fine. However, I want something more. Fast forward several months and my depression is getting quite bad. My hallucinations have returned, but they are manageable for the most part. I revisit my psychiatrist after several months away. He tries to put me back on Celexa, but unfortunately it isn’t working for me after two months. In comes Prozac. I’d been on the drug previously in 2009, but only for a very short period when I was so lost in my mind I don’t even remember how long I took it. In the years since, I’d educated myself more on mental illness and medications. So much so that I now frequent the Yahoo! answer forums and take on some of the harder questions so I can try to do something positive. Through my research, I read up more on Prozac. I remembered being on it, but as I said I don’t even know if it helped or not. I asked my doctor about it and he said we could definitely try Prozac again to see how it works for me. Here is the deal so far. I know it’s too early to know if it’s working on my depression. It can take about 3 weeks before I start seeing any positive effects of that nature. What I have noticed though are some side effects after the 7 days I’ve been on it. One…I’m actually feeling worse as far as my mood goes. My anxiety has gotten bad so I’ve had to resort to the Klonopin a couple of times. I’ve been able to manage though. I expected something like this so I was prepared. Another interesting effect that I’d read about and interestingly am getting is a lack of appetite. I actually don’t mind this effect at all. I’ve been exercising a lot the past month to try and improve my moods and also to drop a little weight. I noticed that I wasn’t feeling hungry at all on the 2nd day which wasn’t expected. I thought I wouldn’t get this particular effect till I was seeing the true benefits of the drug. As I said, I don’t mind having a lighter appetite, but I’ve figured out that I have to watch myself though. Without even realizing it, I went an entire day without eating. I had water which is normal for me, but I never once felt the urge to eat. I didn’t even realize I hadn’t eaten till the next day when I thought about it. I ended up at the grocery store to get some food, but didn’t buy much as I still wasn’t hungry. I started feeling a little light headed though so I went ahead and had a good meal; some grilled chicken, green beans and corn. It wasn’t a very large meal, but boy did it fill me up. I did not eat the rest of the day. The follow day I still wasn’t feeling hungry so I had a big Honeycrisp apple about midday. I also kept with my water and still, I didn’t feel hungry. It didn’t take me long to figure out that this side effect was pretty significant for me. I’d read about people not getting it and some who say they did. It looks like I’m turning out to be one that’s getting it, but I know I need to be careful. I often schedule things for me in advance and have a list of things I need to make sure to do every day like take meds, exercise, clean certain parts of the house…you know, everyday chores. I keep the list because I sometimes deal with overwhelming compulsions to do things over and over because I feel I didn’t do them before so I use my check off list as a reminder that I did in fact do them. I am adding eating to this list. I figure as long as I have two decent meals a day along with a snack like an apple (love apples) or an orange, I should be just fine. The only issue is that now I am finding it annoying to eat when I’m not hungry. I’ve started to make my meals smaller, but not too small. I don’t want to push my body into any sort of shock from a sudden diet change. Beyond that, I’m happy to say that I’m not getting any other significant side effects. Hopefully, I will start to see the true benefits of the drug in a couple of weeks. If you suffer from depression, it’s important that you talk to your doctor about it. I cannot say that Prozac will work the same for you. Only your doctor should advise you on the types of drugs you should be taking. I guess I should add this in as well: No, I am not being paid to say these things about Prozac. This is just my personal experience with the drug. If you come across some online pharmacy trying to sell you drugs like Prozac or Klonopin, they are scams! Avoid them. 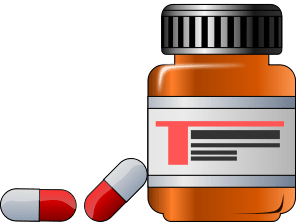 Only get a prescription from your family doctor or psychiatrist and fill your medications at a licensed pharmacy like CVS, Walgreens, Walmart, etc. 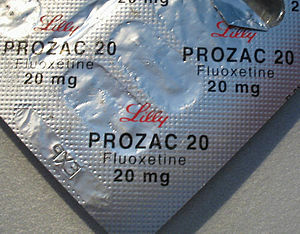 Prozac is available in generic form and is very inexpensive, especially from Walmart as a 30 day supply is only $4. I’ve been getting a lot of search hits concerning my experience with Invega and Latuda. Here is my experience with both drugs. Invega (Pros) – Virtually no voices at 6mg a day dosage. 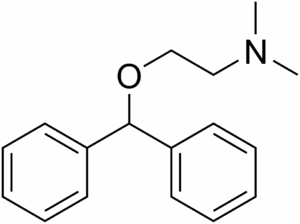 Virtually no hallucinations (again, 6mg dosage) Felt very calm at times. (Cons) – Always hungry, significant weight gain, inability to feel any emotion, lack of reasoning, lack of creativity, somewhat significant tremors and spasms (curtailed by Diphenhydramine), inability to concentrate. Latuda (Pros) – Virtually no voices at 40mg a day dosage, minimal hallucinations (same 40mg dose), small weight loss (didn’t feel nearly as hungry as on Invega), Felt somewhat calm. (Cons) – lack of motivation and creativity, inability to feel emotion, lack of reasoning, some tremors and spasms, inability to concentrate. I’ve since stopped both drugs. Obviously, my doctors would not be happy about this, but life was becoming unbearable while on either of them. I stopped cold turkey and the 5-7 days after discontinuing them was an adventure. I was alright though. I just stayed in my room and kept myself occupied with various things. Yes, the voices and hallucinations did come back, but I am, in a way, making peace with them. The voice has never told me to do anything really insane like kill or harm people. In fact, she often times reminds me to have a bit more concerned for others and their feelings. She’s back to doing what she used to before the drugs. She helps me write and often times calms me down when I start to have panic attacks. I wish I could say she calms me every time, but that’s pretty hard to do. I do still have and use Klonopin when I really need it. It doesn’t take the melancholy away, but it puts me down so that I don’t completely lose it. I am not saying that if your doctor gives you these drugs that you shouldn’t take them. In fact, I would encourage people in a similar situation to my own to at the very least give them a try. I was on them for several months which is why I feel I can offer some insight to how they work and what they can do for you. Obviously, if a person is prone to violent outbreaks because of their schizophrenia, then I would insist that they continue on either of these drugs if prescribed to them. Thinking back, I should have let my psychiatrist know that I wanted to go off the drugs. I’m sure he would have told me no, but if I don’t want to take them he can’t force them down my throat. If you are on these drugs and looking to go off, I would still tell your doctor, psychiatrist about it first. I got lucky that I didn’t smash my face through a window. Others may not be so lucky. Just remember that you control your care and not your doctor. They may disagree with some of your decisions, but hopefully you two can reach something together that still addresses your needs as a patient. Me, I couldn’t live while on those drugs. If all i wanted out of life was to get older while watching tv and eating junk food…then sure! It would have worked out beautifully. Life is not worth living unless I am creating something and if that means I have to figure out a way to control my moods while on minimal drugs, then so be it. We have significant changes and I am not sure if I have a stalker or not. Do I talk about pain management here? Maybe I do. Half the time I don’t know what I’m typing anyway. Someone’s heart is still grumbling. We have to figure out who this person is. Comment! If your heart is grumbling, let me know and I will…do nothing. Maybe I’ll grumble with you. 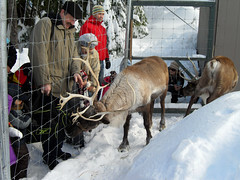 Besides that, here is a picture of some reindeer. Here we are again. We have a few changes! It appears someone had a Grumbling Heart! Latuda weight gain is sorta new. I’ve mentioned the drug enough to get searches to the site. As far as weight gain, I can only give advice on the first 8-9 days. As most of you know, I stopped my meds voluntarily. I did almost immediately feel less hungry on Latuna. Invega, which Latuda replaced, made me feel hungry ALL the time. Now that I am off both, I eat only when it’s meal time. Even at those times I don’t really feel all that hungry. I generally have been eating smaller meals as well. Hope this continues and I lose all the weight I put on when on the drugs. I’ve been off all my meds for about 6 days now. The first few days were bad and tough. I could feel my body aching for them, but I refused to take anything, even pain medication. Last night I finally began to feel something coming back to me. Since I was on Invega and then later Latuda, I’d been suffering terribly from lack of motivation and inspiration. I couldn’t make sense of a lot of things and I felt myself having to relearn how to do stuff like reading. I hadn’t written anything of substance in all that time. I was able to focus enough to edit, but writing was not happening. Sure the Invega helped to silence the noise in my head, but it took everything with it. It took my creativity. It took my little voice away. I thought I could find a way to live without it, but it was too hard. I’ve lived with it all my life and now she is coming back. I can feel her presence. I know that sounds insane, but I’ve already accepted that about myself. So I’m crazy. I’m not a terrible person. When not on meds, I never did anything to hurt others. I never put people in jeopardy. I was a good person who heard voices in his head. I listen to one in particular and I let her do what she feels is right for me. As I write this, I know how it looks. I’m ok with that. I’ve learned to live with what some people would call a disability. I figure as long as voices aren’t telling me to kill or hurt others, I will be alright. I’m not that kind of crazy. Sometimes you just have to accept who you are and live your life how you see fit. I will always have that little voice in my head. If others can’t deal with that, it’s not my problem. She will always have an impact on my life and I will always let her drive me. I can see her again and I like it that way. I know with hearing her, I hear the voices in the other room, but nothing is ever or will ever be perfect. I am taking the good with the bad. I will do my best to deal with them. I am not knocking the medication. I’m sure in the future I will have to take something to help with certain issues that creep up like my panic attacks. I don’t mind taking the Klonopin for that. I am just tired of letting the drugs have their way with me. I want to be in control of my own life. If I choose to live this way, it’s my choice. My little voice has done nothing to hurt others. Looking back now, I feel bad for letting those meds take her from me. As the days go by and more of her returns, I want her to help my write again as she always did. Where I go from there is my own choice. I still have my problems, my issues. I can still go to my counselor for help if I need it. I don’t mind seeing the black butterfly again. At least when I do, I’ll know she’s here with me. Slight change from yesterday, but still along the same lines! I posted earlier that I wasn’t feeling nearly as hungry as I was when I was on the Invega so there may be something to this Latuda weight loss. It’s only been 7 days so we’ll see where I am a month from now and if I’ve dropped 10lbs, then that will be some proof. I took a little something to help with the parkinsonism and it seems to be working. I’m not nearly as fidgety as I was. My doctor told me Diphenhydramine (regular ol Benedryl) can help with the shakes so I take a few when it gets bad. If you are also on Latuda and having my symptoms, talk to your doctor about it and see what they say. What works for me may not work for you. I woke up on my own around 6am and it’s been non stop since. I can’t sleep because I keep feeling myself moving. I’m also having issues regulating my body temperature. On the flip side, I’ve not felt nearly as hungry as when I was on the Invega. All these damn drugs have their trade offs.